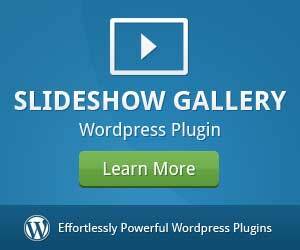 Here are 11 of the best content marketing plugins for WordPress. The internet is evolving at a rapid pace. Websites and blogs are appearing every day and businesses are also expanding their units online. In such a competitive playing field, just having good content is not enough. You also need to be a proactive marketer. Luckily, there are a lot of content marketing tools available on the internet that you can use on your WordPress site to gain more traffic and exposure. In this article, we have handpicked some of the best tools and plugins for content marketing for your WordPress website. 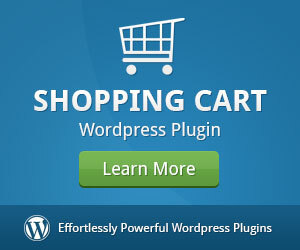 Using these plugins, you will be well on your way to market your content effectively. When it comes to integrating Google Analytics on WordPress, you cannot go wrong with MonsterInsights. It works seamlessly with the WordPress platform giving you the powerful statistical functionality of Google on your blog. With this plugin, you will be able to track audiences, gain useful insights and vital statistics for your website, which will, as a result, allow you to make more effective decisions based on your website’s performance. With Monster Insights, you can view statistics regarding your website traffic, referral sources, page profitability and much more. Tracking user engagement is also simplified with MI, making it a crucial resource in your content strategy arsenal. Ahrefs is a powerful tool that provides you with analytics and information regarding your website and those of your competitors. It gives out a detailed report regarding your website and helps you analyze why the competitors’ strategy is outperforming yours and what alterations you can apply to outrank them in search engine results. Ahref comes with highly functional tools for website analytics and content strategy that you can use to ensure better overall ranking for keywords. It is an immaculate plugin that helps you find out the type of content is ranked better in search results and how effective is that content for overall SEO effectiveness. Another powerful contender in the website analytics arena is SEMRush, which is a very useful tool for webmasters who are looking to gather more information regarding their website. SEMRush adds value to your website by providing you with thorough website statistics and performance reports. Besides that, it also allows you to compare your website’s performance with your competitors with its powerful competitor insight function. You can gather data regarding some aspects of your competitor’s content strategy by gathering analytics and information regarding their keyword usage, backlink generation, advertisement strategies and much more. By providing a competitor analysis, SEMRush also gives you the opportunity to alter your strategy for better SEO. Without Grammarly, this list would have been incomplete for all the right reasons. Grammarly is without a doubt, the best online grammar checking tool. The Grammarly plugin for WordPress is a godsend for webmasters who excel in the backend but fall short when it comes to grammatically correct content. 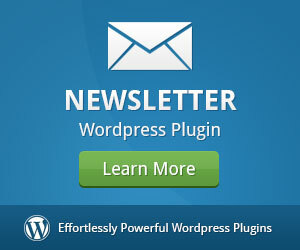 The plugin, after activation on your WP, will work on any place where there is a text-editor present. With this plugin, you will be notified of grammar, spelling and punctuation mistakes as well as contextual mishaps that occur throughout the written text. It is definitely a powerful tool if you are looking for improved SEO through well-written content. 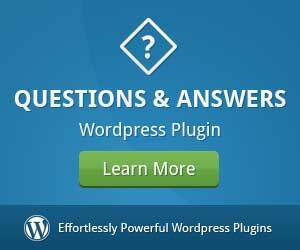 Yoast SEO is the most formidable SEO plugin for WordPress. 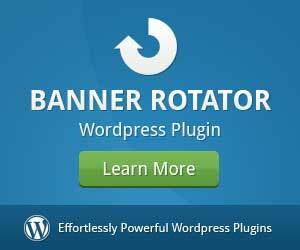 It is also regarded as one of the best SEO WordPress plugins. Bear in mind, that this plugin is not only just about adding fancy meta tags and reaching the #1 spot on Google, it is a comprehensive content optimization solution with a wide range of features and functionalities that can help you to improve your website in the long run. Using this plugin, you can select up to 5 focus keywords that will be found throughout your website, which will be important in gaining overall site results. Yoast will come into play by keeping a check on the use or overuse of the keywords. In the short run, Yoast might not be useful but it is extremely helpful for morale in the long run. You can check out this Yoast tutorial to get started. With EditFlow, you have the ability to create a proper editing workflow which will allow you to create good content on a daily basis. With Edit Flow, you can add customized post statuses, leave useful editorial feedback and workflow information, view your editorial activities using the editing calendar and apply your content marketing strategy like a pro. Perhaps the biggest advantage of using Edit Flow is its organization. We can apply this statement into perspective using EF’s calendar function, which gives us the innate ability to manage our overall editorial tasks and activities, we can see how powerful Edit Flow really is. The worst part of WordPress web development comes in the form of image usage. Images are the best way to add aesthetic design to your website to make it more alluring. However, internet law does not entertain using copyright images for websites, the fact applies even more so on the WordPress CMS. This is where Canva comes to save the day. With this plugin, you can create beautiful and original images for your website like a pro, without ever having to go through copyright headaches. As discussed before, images are an integral part of website SEO and performance. Beautiful landscapes and aesthetically designed images are beautiful but when uploaded on the WP website, they can hamper website performance and speed. If you want to upload images with a lot of editing and large file sizes, you need use reSmush.it to optimize the site first. When it comes to image compression and optimization, reSmush.it is the best resource out there. It offers you a variety of options for image compression, sizing, optimization, and uploading. Best of all, it optimizes images without losing the image quality, henceforth improving SEO. IFTTT is one of the best WP tools for social media management and posts. Using this plugin, you can easily center your social media strategy with your WP content strategy. The major functions of this plugin include cross-platform posting, post scheduling, post insights, page performance, post sharing ability and retweet triggering. One of the biggest SEO boosts that a website can have is through a good social media strategy. Giving your website a Facebook page, a twitter handle, a YouTube or Instagram account or even a Snapchat handle can work wonders for driving organic and inorganic traffic on your website. Shared Counts is another competitive plugin for WordPress for integrating social media. With this plugin, you can easily add social sharing buttons to your content. It differs from the generic social sharing buttons by providing you with a multitude of social media websites to which you can share as well as a share counter, which detects the number of shares on each of the social media plugins that you have added through the plugin. 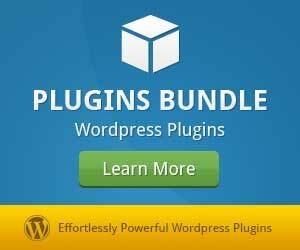 The best part about this plugin is that it does not slow down your website, in fact, it is optimized for fast-paced performance. It is without a doubt, the fastest social sharing plugin currently in the market. With this plugin, you are able to create a nofollow tag for outbound links, which WordPress currently does not provide in its generic version. You will be able to create a title and Nofollow options using this plugin by simply inserting the link. All of the aforementioned tools are designed innately to provide superior performance when employing a content strategy. Getting a feel for each of these tools and slowly applying them to your website would be the best way to go. However, if you do want to apply all of them at the same time, there is no harm since all the changes you make can be reverted back. Qurat-ul-Ain Ghazali is an information system engineer and a certified digital marketing trainer with a passion for writing, designing and anything tech related. Currently, she is the Content Manager at Dynamologic Solutions.